. استمتع بالخدمات الراقية والضيافة التي لا مثيل لها بهذا الفندق في بريسبان. إن خدمة الغرف على مدار الساعة, واي فاي مجاني في جميع الغرف, مكتب الاستقبال على مدار الساعة, تخزين الأمتعة, واي فاي في المناطق العامة هي جزء فقط من الخدمات التي تميز فندق بريسبان ريفر فيو عن باقي الفنادق في المدينة. لقد جهزت هذه الإقامة الفندقية بعناية فائقة لتوفر مستوى عالي من الراحة. في بعض الغرف يجد النزيل إغلاق, مناشف, ميزان, تلفزيون بشاشة مسطحة, اتصال لاسلكي بشبكة الإنترنت (مجاني). كما أن مجموعة الخدمات الواسعة الموجودة في الفندق لضمان راحتك تترك لك الكثير من الخيارات لقضاء وقتك أثناء فترة إقامتك. يحظى فندق فندق بريسبان ريفر فيو بموقع ممتاز وخدمات يصعب منافستها. Stayed overnight before and after our cruise and couldn’t fault it. The location is a $10 taxi ride from the cruise terminal. The hotel itself is clean and the staff friendly. We got off the boat at 7:30 and they upgraded our room so we could check in early, (thanks Margaret). The hotel has some positives - clean, friendly staff, decent location. Hotels need to get the details right if they want to create memorable ambiance. We picked this hotel for the view of the river. The window was so dirty it spoiled the wonderful view! The batteries in the remote were too weak and didn’t get changed at our request or maybe the remote just doesn’t work. Whichever, it was pretty annoying. We had to go to the desk to get decaf for our room. Housekeeper did not give us clean towels. Great bed and bedding. The restaurant had excellent service but be sure you know what you are ordering. I ordered the striploin. Being from Canada I assumed it would be charbroiled but instead it was pan fried which I hate. Not the chef’s fault but be sure to ask because food in Australian restaurants is generally pretty expensive so you want to like what you order. I specifically phoned the Hotel the day before to check if their Pool, Spa and Sauna were all in good working order and they told me Yes. I arrived at 1pm the next day and the Spa was not working and had a sign on it which had been there for some time. The Pool and Sauna are actually good. The House Wine was terrible and the $22 Pizza was a Large Size but only had about 80 cents worth of food in the middle...maybe leftovers from Lunch....and was Soggy as well. I certainly wouldn't eat there again. My wife and I stayed here for one night as it was close to the airport. We thoroughly enjoyed the place. The rooms were very nice and clean. We were on the second floor and were not bothered by any traffic noise. We would happily stay again. I stayed just one night after a long flight into Brisbane Airport. The room was comfortable and quiet. Bathroom good. Bed just right. I didn't get to try out the food as I went to the nearby "historic" (at least for Australia) and spacious Breakfast Creek Hotel to eat. Breakfast was not included. I am thinking to stay again on the way back to Brisbane Airport but it seems a bit on the expensive side. I was here only for a few hours as I was in transit from Malaysia to Fiji, but the few hours I stayed here were comfortable, and I had to leave for the airport early the next morning to catch the 11.30 a.m. flight. It is close to the airport and I wold recommend this as a transit hotel. 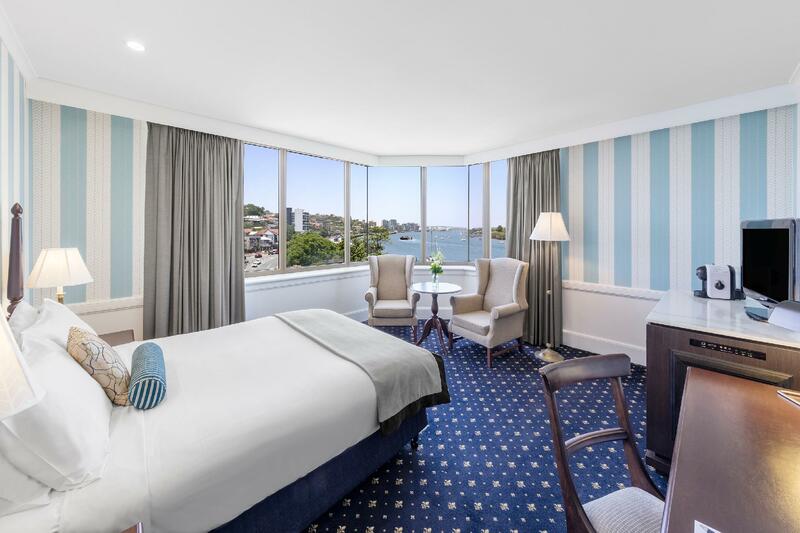 I chose Brisbane Riverview Hotel because after being in Brisbane for surgery, I needed a hotel close to the freeway on way to the airport to make a quick city exit the following day before flying home to Mount Isa. I was pleasantly surprised to find myself in a very beautiful room with a good outlook. Parking was excellent and the hotel was positioned close to airport freeway and fuel for the hire car. I had time to explore the nearby Hamilton Port precinct. 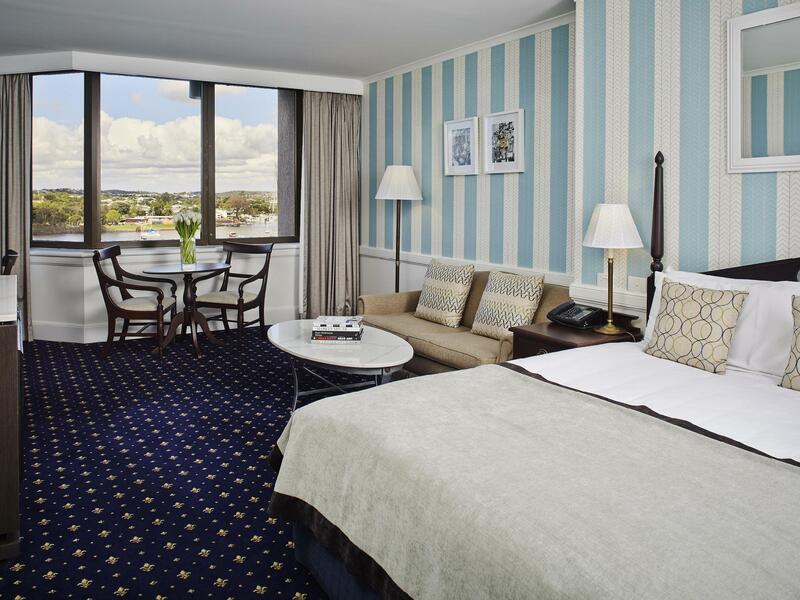 Thank you, Brisbane Riverview Hotel for a lovely stay. We stayed for one night. Room was clean and a good size. Pool area and hot tub were across the driveway but easy to negotiate. We ate in the restaurant and food was reasonably priced and well presented. A perfect hotel not too far from the airport. The hotel room was large, comfortable and very clean. We had a beautiful river view which was lovely to watch the sunrise when we had to get up early to go to the airport. There was easy parking for the car and the staff were all very helpful and friendly. Coming along Kingsford Smith Drive the large sign on the hotel said "The View" I think, which was a bit confusing as we thought it was a different hotel, but found it easily enough. 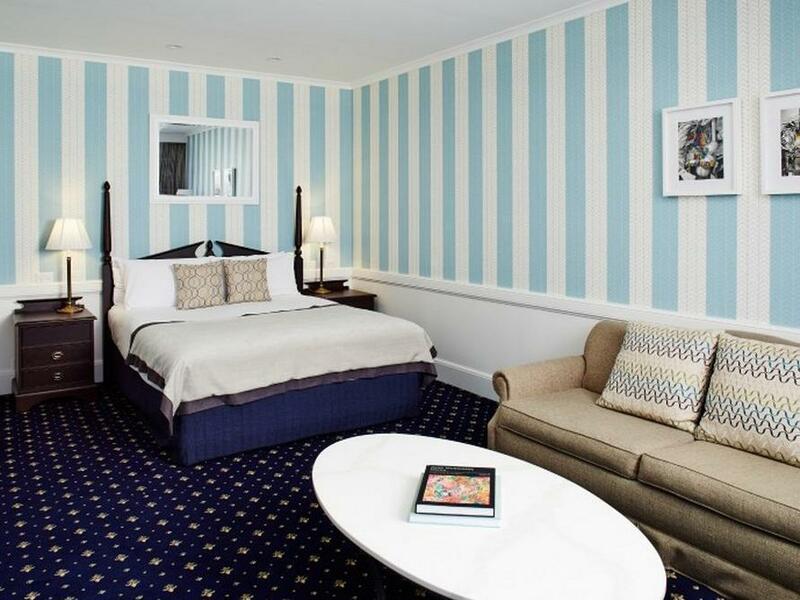 The hotel is very central and has refurbished tastefully and well. The rooms are quiet and we enjoyed a view out of one window of the river. The staff were very attentive and friendly. We dined in the restaurant and enjoyed our meals. The pool area does require attention and should be next to be refurbished. 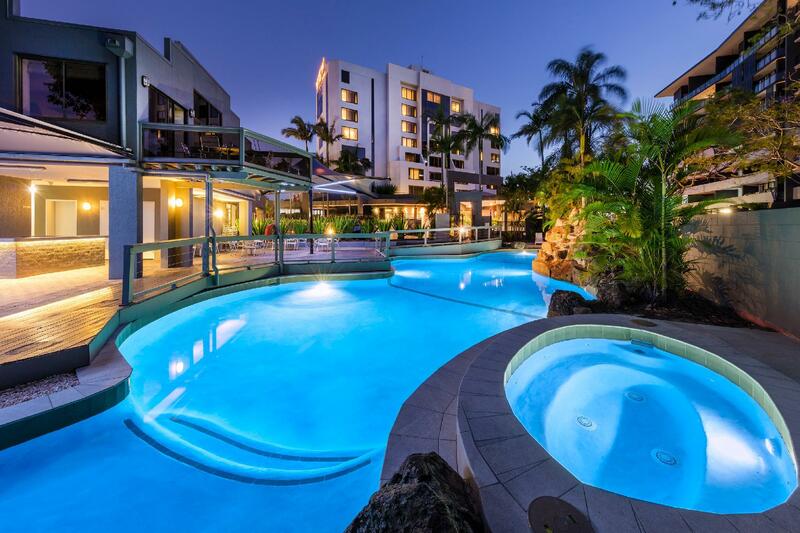 We have no hesitation in staying at Riverview again when next in Brisbane. The staff are extraordinarily good. Very friendly and helpful. The decor in rooms first rate, and our room was large, layout good. Lovely touches eg. Fresh apples at lift entry! So close to riverwalk. 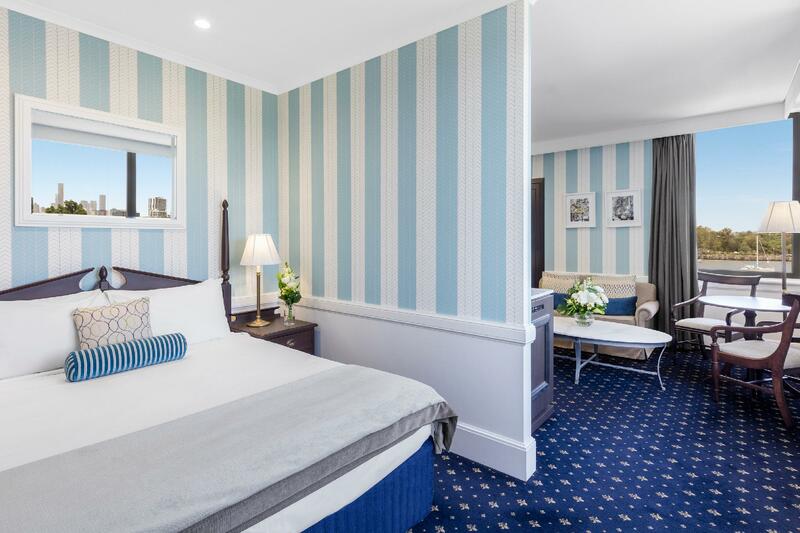 The decor of the hotel hits you in the face with its rather garish walls and dark timbered surrounds but the rooms are comfortable, the bathroom well-appointed and underground parking is included. Good value all round. And the iconic Breakfast Creek Hotel with its legendary steaks is a 5 minutes walk away.. I was very impressed with the room design - fabrics used and the wallpaper were phenomenal. The mattress was exquisitely comfortable. I've stayed in a lot of high end luxury hotel/resorts and never have I experienced such a comfortable mattress (room 608). The room and bathroom were beautifully spacious. I arrived at 2am with my baby boy after a flight from Singapore. There was a porter to help me with my bags which was a blessing. I forgot to order any breakfast but phoned in the morning to see if anything could be arranged. 'Not a problem at all' was the response I got - great service. The staff were fantastic. Loved the hotel and will definitely be back. It has great individuality and a lovely boutique feel. My only niggle is Kingsford Smith Drive - it's noisy!! But sadly the hotel can do very little about that. Highly recommend! The room was good albeit a little small for an 8-day stay. Nevertheless very functional. It was abt a 6min. drive to Portside where you can find wonderful, delicious fresh seafood, and other types of food. Highly recommend this area for good food. Relaxed atmosphere. Parking was no hassle - there's an underground carpark where it's free for 3hrs once you have your ticket validated. Pretty close to local malls too. Staff are exceptionally helpful & friendly. The staff were fantastic very helpful and friendly. The location was perfect for an early departure the next morning being 10minutes drive to the airport. The rooms are clean and spacious and room service was excellent. We stay here often and will continue to stay in future. The hotel is easy to access being close to major road hub. It has lovely 180 degrees waterview of the Brisbane River. Decorations are quite new and classy. Staff is helpful and welcoming. Good value for money for someone who enjoy the view and stay. The refurbishment inside the hotel is excellent , however it hasn't extended to the pool and entertaining area outside. The pavers are loose and uneven to walk on the pool,spa and change rooms are very old and need to revamped. That being said the service and food was excellent and the hotel itself very classy. Location, close to the airport and Brisbane CBD, Restaurant great food, service, the staff are freindly and resdy to help you. Most times I go to Brisbane it's either to catch a late flight (2:30am) or meet an early flight (6:00am). The three things I look for in a hotel are 24hr reception, close to the airport and reasonable price. 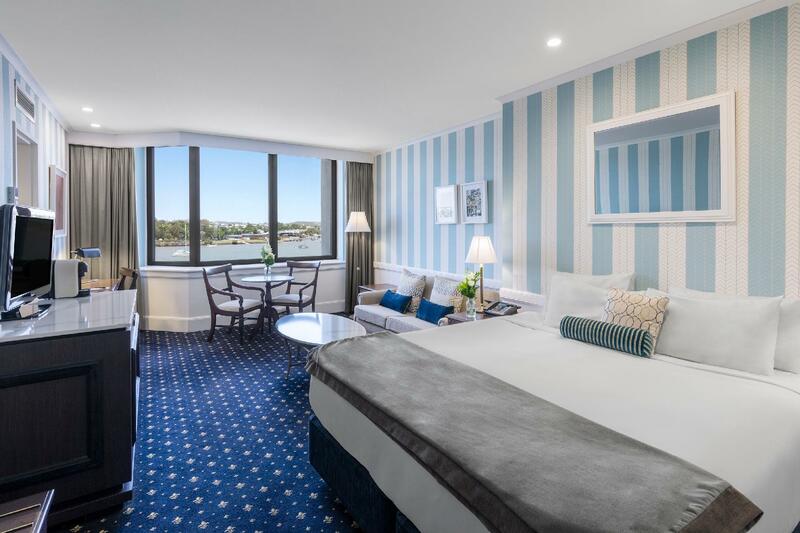 Brisbane Riverview Hotel has just become my Number one choice for future trips to Brisbane.